Ban to run for at least two months. 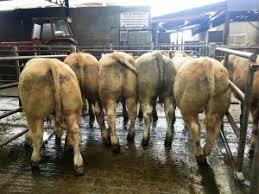 Ireland’s livestock trade has suffered a setback with Turkey announcing a suspension of live cattle imports. The ban will remain in place for at least a couple of months, according to An Bord Bia. Turkey says the move aims to protect their country’s producers amid concerns about an oversupply of beef. Ireland exported some 13,000 cattle to Turkey in 2018, a drop on the previous year’s figure of 30,000. Meanwhile, the Lancet, a medical journal, has stirred up a wave of anger with a report that diets containing meat could prove as damaging as smoking to human health. A bunch of food scientists have seemingly come up with the finding following which it has been recommended that people minimise their intake of beef, lamb, pork and potato. However, the report is being regarded by some as over the top. A top American cardiologist has said meat should make up about one-third of the plate.